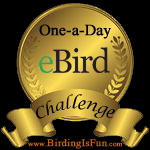 Birding with an iPad, and a Giveaway! 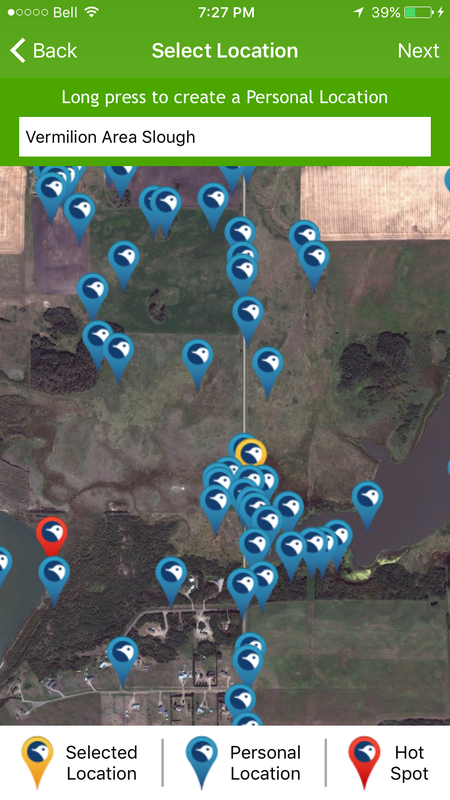 More birders are now using technology such as tablets and smartphones, and there are many bird-related apps which can help ID birds in the field, submit checklists (eBird), and more. 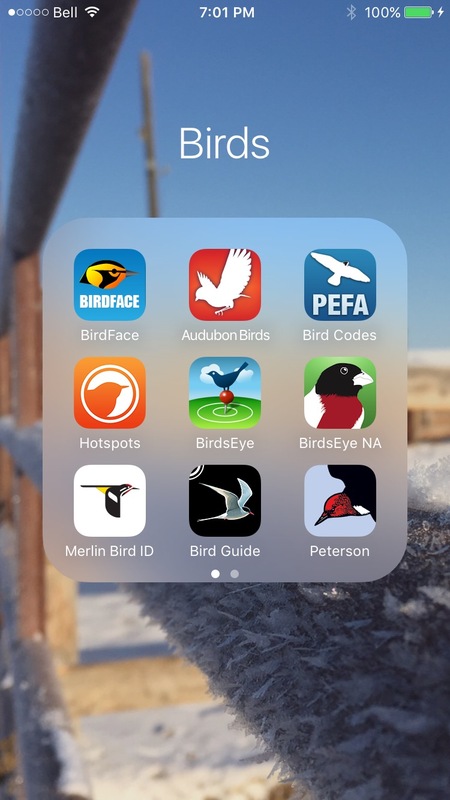 In this post I’m going to round up some useful bird apps, including my favorites. Stay tuned until the end of this post for the giveaway details! 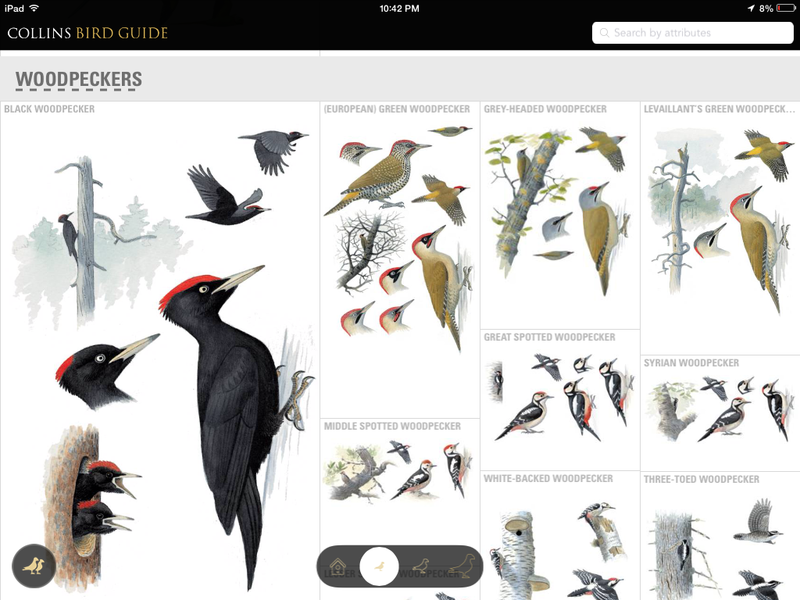 Many field guides have been made into apps, which makes going birding much easier because you don’t have to lug around heavy books. In fact, with a smartphone or tablet, you can take an entire bookshelf with you. 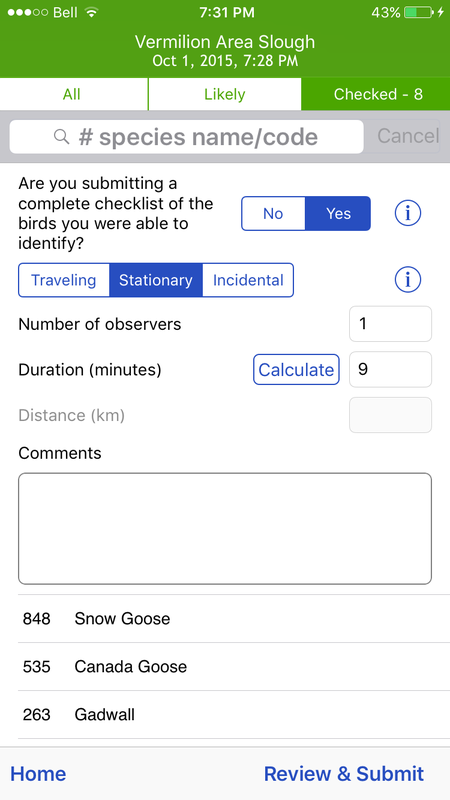 Most of the major field guides are available as apps and most offer multiple audio files for almost every species; the search function makes it very easy to search for birds. I have most of the following apps on my iPad, many of which are compatible on other iSO devices even Android. 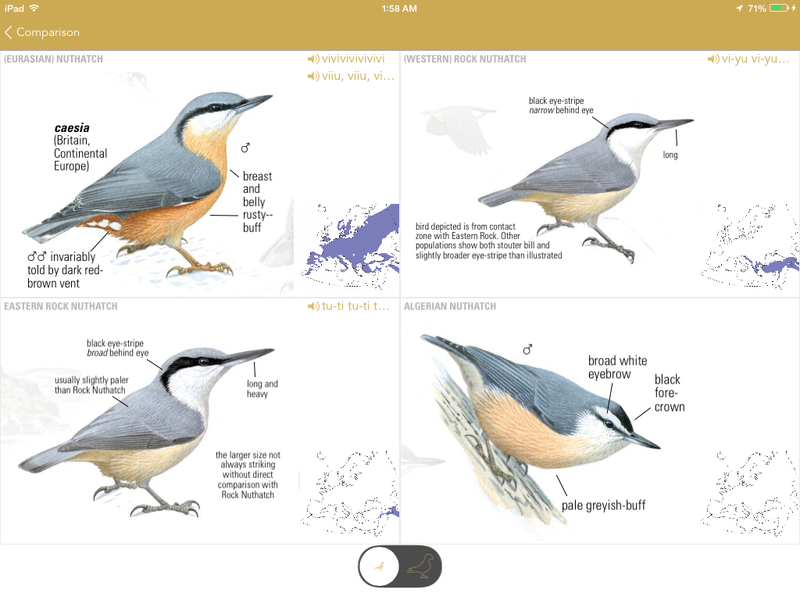 — Sibley eGuide to Birds of North America ($19.99); I’m a fan of David Sibley’s illustrations, so of course the app is my favorite too. One of the features offered in this guide is the side-by-side comparisons for difficult to ID species. There is also a”lite” version which is free, which is a good way to see if you want to buy the full app. 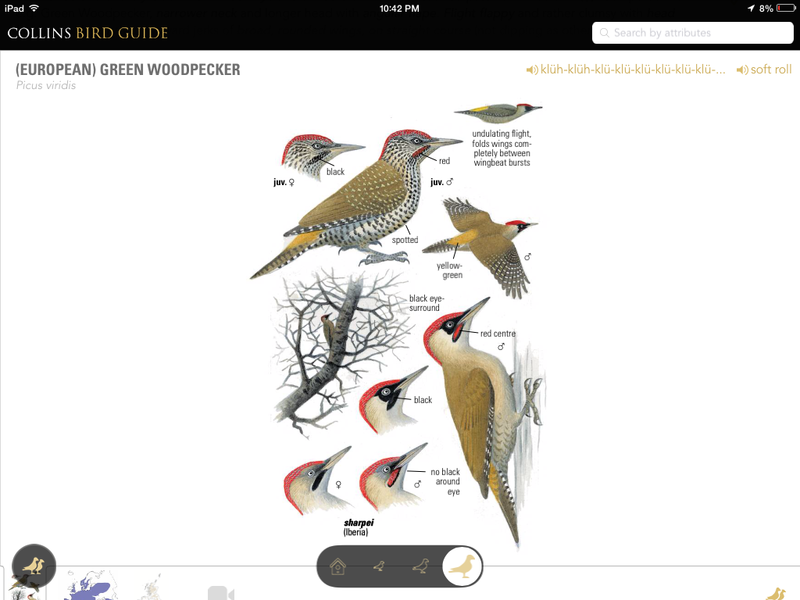 — Audubon Birds ($14.99, often on sale); is a photographic guide, so if you are partial to photos vs. drawings, this may be for you. 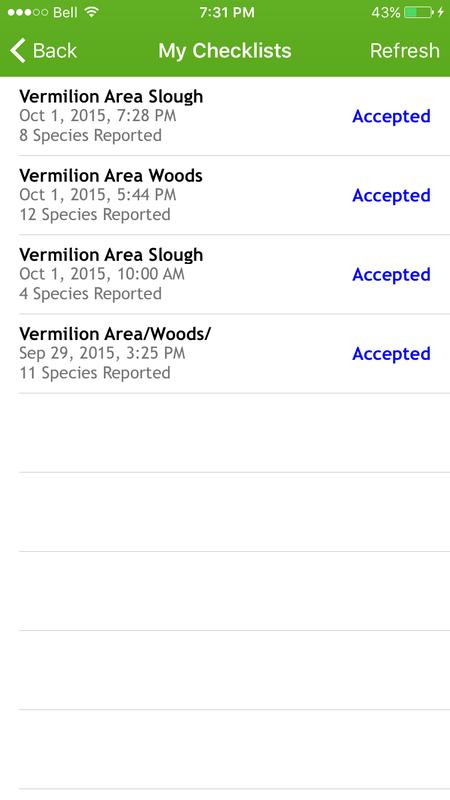 With the Audubon app you are able to submit checklists though the app to eBird and see what other birders have submitted. 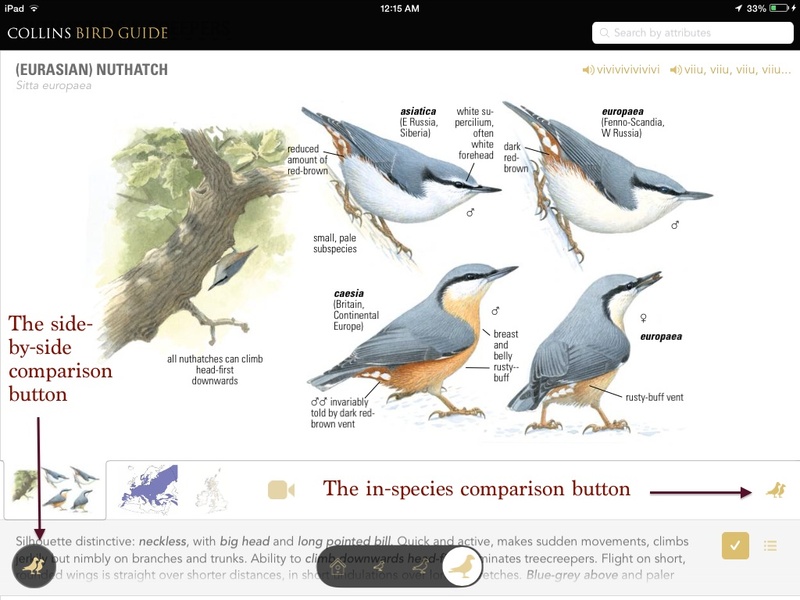 — National Geographic Birds of North America ($9.99); I don’t own this guide so I’m not very familiar with it. But from reading others’ reviews it seems to be a very good app and features 995 species and custom-created quizzes. 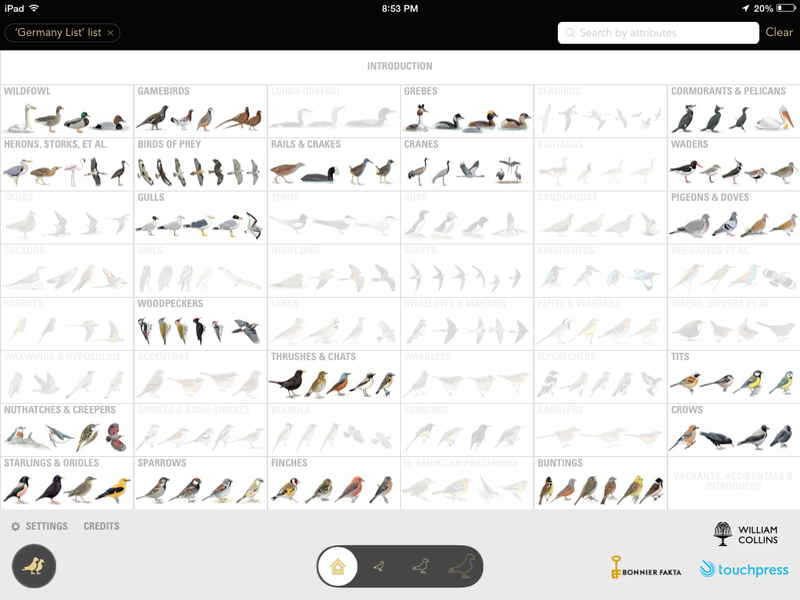 — iBird (“lite” version is free, various full versions range in price); The iBird app is very user-friendly and great for new birders. 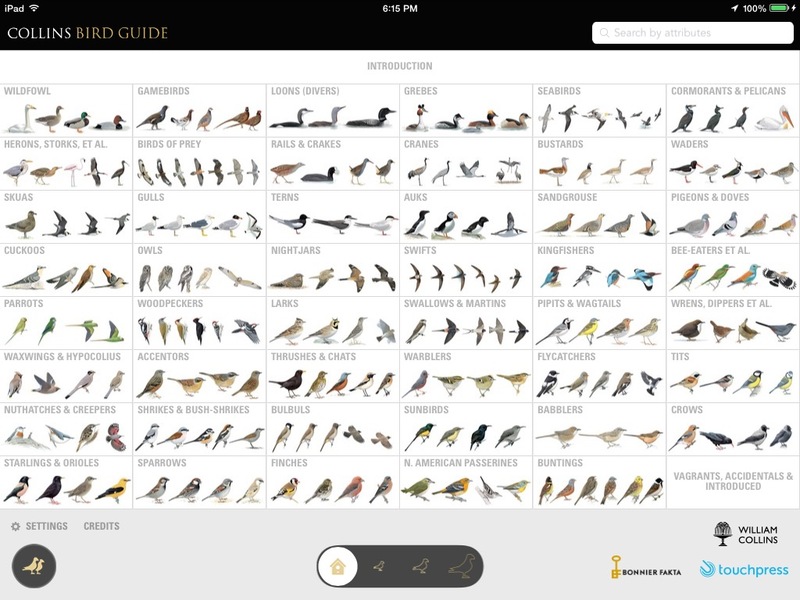 iBird has guides for North America, and also Britain & Ireland. 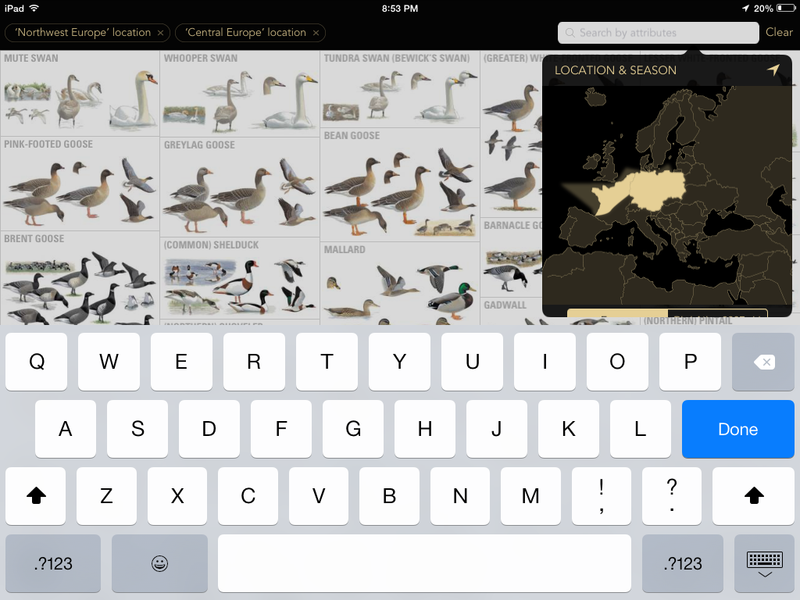 — BirdGuides (“lite” version is free, various full versions range in price); BirdGuides have UK field guide apps and also one Birds of Brasil app with over 1,800 species. 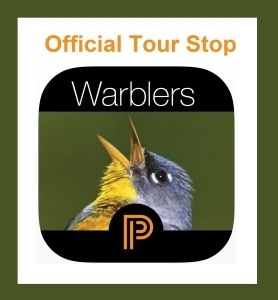 — Larkwire ($2.99); a very user-friendly app which uses games to make learning bird songs fun. 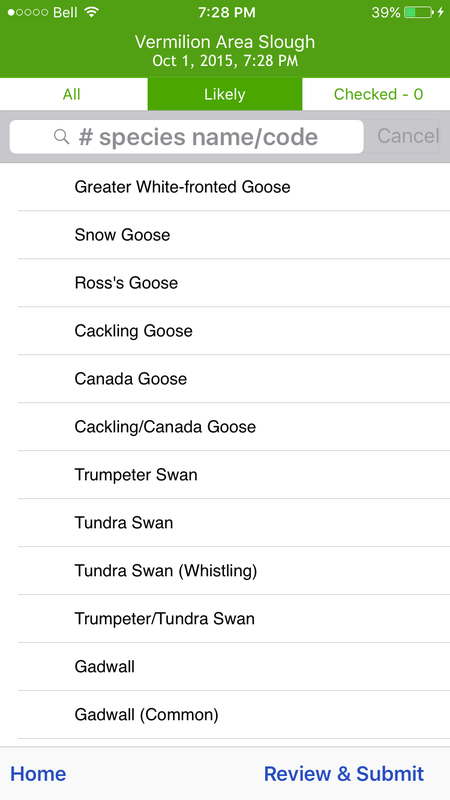 Larkwire groups together similar-sounding species and gives the listener a better chance to familiarize him/herself with the songs and calls of each species. 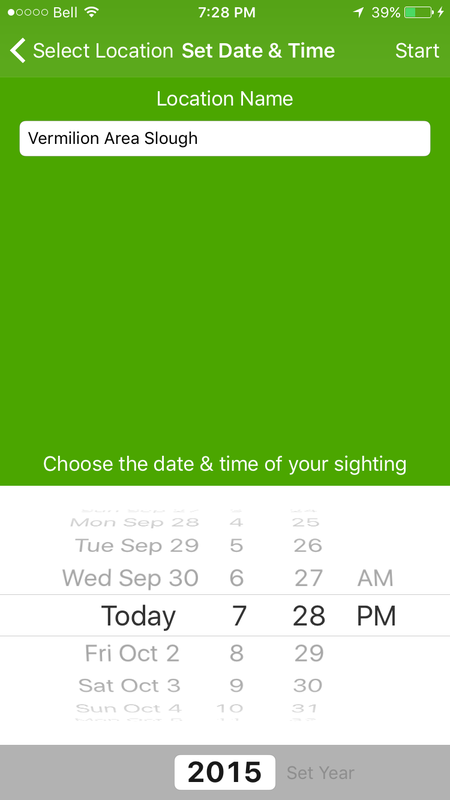 The BirdsEye app is for finding birds reported to eBird, and BirdsEye Log is for submitting your own sightings. They’re very good apps, and when I was in Ontario last summer working at Long Point, they worked very well for me. My only complaint is that the apps can’t find my location here in Alberta. I get a message saying “Low GPS Signal”. I don’t live in the complete middle of nowhere and we have good WiFi, so I’m a little disappointed that I can’t use these apps regularly at home. 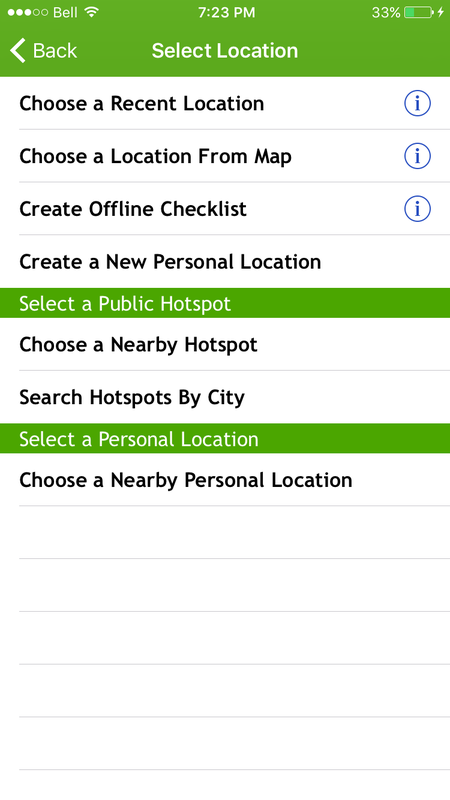 — BirdsEye Hotspots ($4.99); BirdsEye Hotspots is another great app, which quickly finds eBird hotspots. Here is my review of the app. 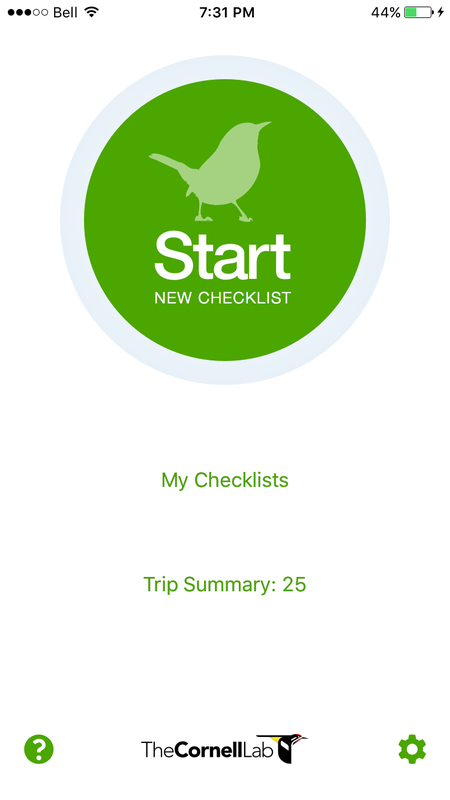 As a reminder, I received this app from Drew Weber at BirdsEye (who also writes at Nemesis Bird). 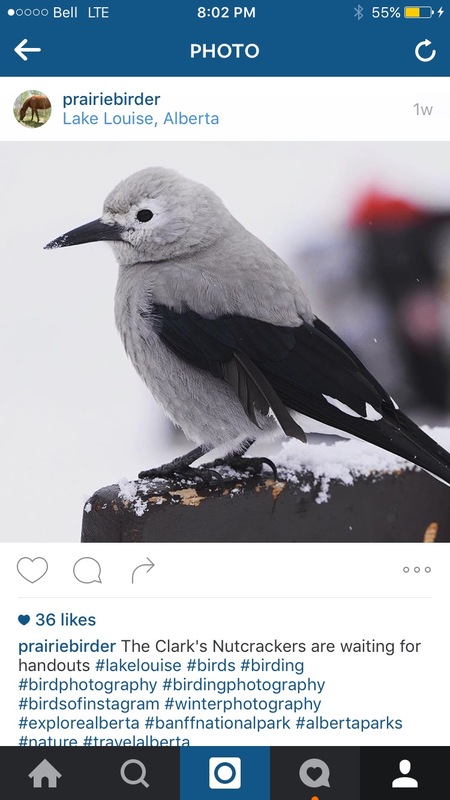 — Merlin Bird ID (free); the Merlin Bird ID app from the Cornell Lab of Ornithology is one of the newest birding apps on the market. 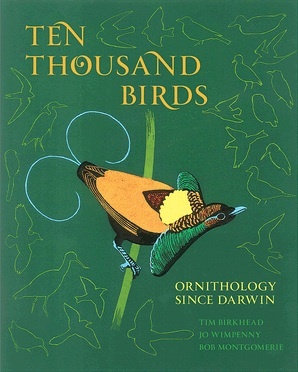 Very good for beginning and intermediate birders. If I haven’t mentioned your favorite app, please let me know in the comments and I’ll add it to my list. 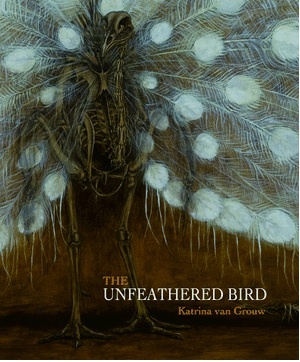 Jessica at Princeton University Press has been very generous in providing me with eBook copies of The Unfeathered Bird and the very new Ten Thousand Birds to give away. To enter the contest, just leave a comment in this post with the name of which of the two ebooks you’d prefer. For second entry, head over to my Facebook page and “Like” it. lease mention below in your comment that you’ve done so. After two random draws, I’ll announce the winners on February 22nd.